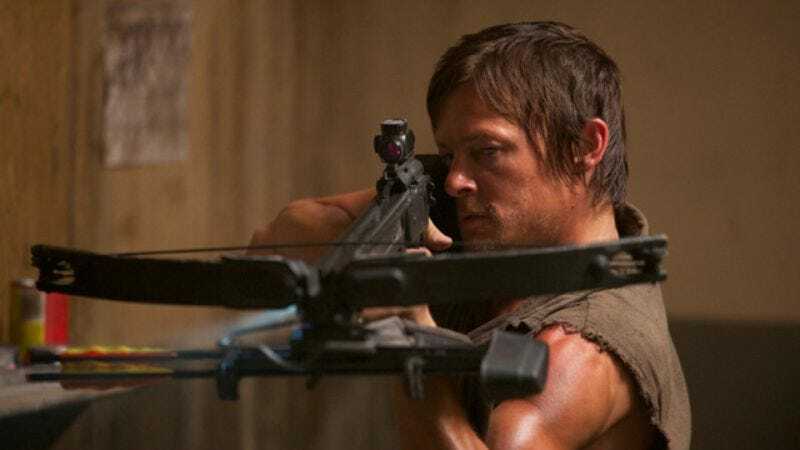 Because there aren’t enough crossbow aficionados to justify an entire reality show based on that hobby, AMC has given a six-episode order to an unscripted series about The Walking Dead star Norman Reedus’ love of motorcycles. According to Variety, Ride With Norman Reedus will boast hour-long episodes following “Reedus and a friend touring a different city via motorcycle and checking out bike shops, tattoo parlors, bars, and restaurants” frequented by hog enthusiasts who probably will be disappointed that they’re not hanging out with an actor from Sons Of Anarchy instead. The series will air sometime next year. Hopefully, AMC can get Look Grumpy With Harrison Ford off the ground by then as well.